For anyone who feels pain when sipping your morning coffee, or who cringe each time you brush or floss, the dentists at Providence Dental in Las Vegas are here for you. The first line of defense against tooth sensitivity is proper oral hygiene. Incorrect brushing and over-brushing can result in receding gums, which results in the exposure of microscopic tubules in the dentin. When these tubules are exposed, acidic, hot, cold, and sticky foods can then reach the nerve cells in the teeth causing discomfort (who are we kidding—it’s pain). We can figure out if your brushing style is contributing to your tooth sensitivity and get you on your way to proper oral care habits. We usually recommend toothpaste for sensitive teeth. These reduce pain after several applications. However, some patients may need in-office procedures such as fluoride gel treatments. Studies show that as many as forty million people have tooth sensitivity. If you’re among them, remember that it most cases you can do something about it. Call us at Providence Dental in Las Vegas for an appointment. We offer family dentistry, and specialties like wisdom teeth extraction. We also offer urgent dental care. Call today. Are you suffering with a toothache, but ignoring the pain? Have you started chewing on one side of your mouth to avoid your sensitive teeth? Have you stopped drinking hot and cold beverages to alleviate the discomfort? 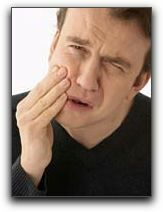 If you’re suffering with toothache pain, call us at Providence Dental in North Las Vegas. Dental pain is like an unpaid speeding ticket: ignoring it won’t make it go away. Yet many of us share that very human tendency to ignore a toothache. Many of us just plain dread seeing the dentist because of fear the treatment will hurt worse than the toothache. Waiting too long to care for your teeth can cause serious health problems – and not just in your mouth. The most common cause of a toothache is a cavity. Cavities are easily treatable with fillings. But toothaches may also be caused by problems having nothing to do with teeth, or even with the jaw. Toothache pain can be mimicked by, for example, a sinus infection. No matter the cause, it’s important to seek help. At Summer Dental in North Las Vegas we offer toothache relief by properly diagnosing the cause and then treating it. We also provide family dentistry, emergency dentistry, and wisdom teeth extraction. Schedule an appointment with us today. Throbbing toothache pain can be absolutely intolerable. At the very least, milder toothache pain can cause you to abstain from certain foods. At Providence Dental in North Las Vegas, we know that severe tooth pain can be totally debilitating, forcing men and women to go to extreme measures to alleviate the pain. 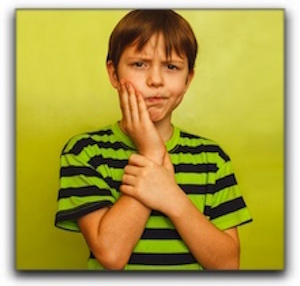 The most prevalent causes of a toothache include infection, decay, injury, or loss of a tooth. Tooth pain can develop after a tooth has been extracted or following oral surgery. We can identify the source of your toothache, and in most cases can provide nearly immediate relief. Of course, the best way to avoid toothache pain is to visit your dentist frequently, and to care properly for your teeth including a daily regimen of brushing and flossing. 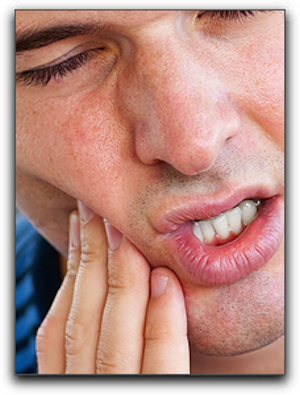 If you are experiencing tooth pain, please call us at Providence Dental in North Las Vegas. Worst case scenario? We offer emergency dental care. We also provide general dentistry. Make an appointment today.